The International Center for Emerging Markets Research (ICEMR) conducts policy and technical analysis that arises from emerging markets and their continuous need to support and foster rapid growth, implement constant innovation, and spur competitiveness. In identifying the key drivers and effects for each growth factor, we hope to equip researchers, stakeholders and decision makers with effective frameworks and and valuable research to better understand the impact, and role, of their decisions in fostering growth in emerging markets. 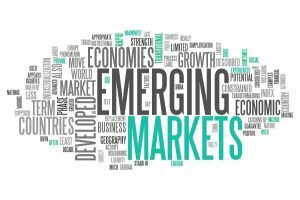 In engaging in such research, ICEMR hopes to not only advance the research in this area, but to help emerging markets define their strengths in this ever-increasing global economy. As all these perspectives contribute to the sustainable competitive advantage of emerging markets, this center’s research groups will investigate the role of business innovation, human capital, entrepreneurship, energy industry, green growth and technologies, and R&D in determining the potential magnitude of emerging market economies’ growth and competitiveness at the national and international levels. ICEMR’s research groups will feature and a productive mixture of thought leaders in academia and industry to help identify growth factors across their respective fields. Our key focus will be to provide recommendation to contemporary issues faced by emerging economies, by better understanding the interaction and potential for growth arising from systemic innovation, competitiveness, and planned growth, across emerging markets.